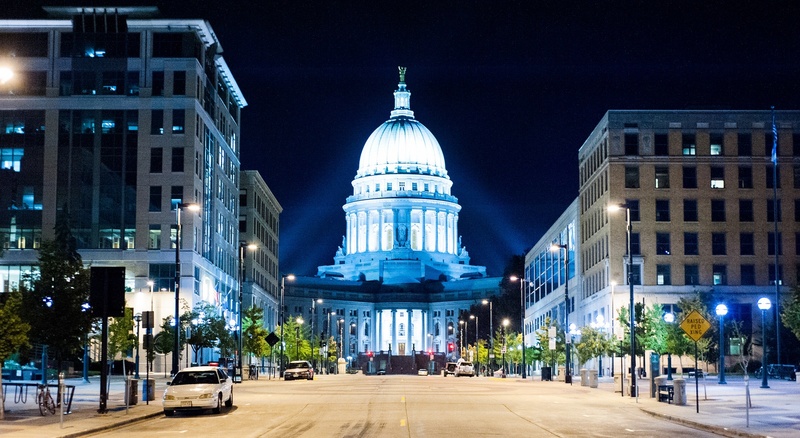 The city of Madison, capital of Wisconsin and sustainability leader in the Midwest, is one of more than 100 cities across the country committing to shift to 100 percent renewable power. But with a hometown utility––investor-owned electric company Madison Gas & Electric––that produces three-quarters of its electricity from coal, it’s path is steeper than most. Local leader Raj Shukla, chair of the city’s Sustainable Madison Committee and candidate in the city’s spring mayoral election, spoke with John Farrell in August 2018, to discuss the city’s push to carbon-free power. In this episode of Voices of 100%, Shukla and Farrell discuss how the relationship between the city and its utility evolved and specific strategies that will help the city reach its ambitious goal. Marie Donahue: You’re listening to an episode of Voices of 100%. Where we’re speaking with local leaders from across the country to understand their reasons for pursuing a 100% renewable energy goal, how their city plans to achieve that goal, and what these visionaries see as the future of local, renewable energy. John Farrell: Over 70 US cities have pledged 100% renewable energy, but few with as steep an uphill climb as Madison, Wisconsin. In August 2018, I spoke with the chair of that city’s Sustainable Madison Committee, Raj Shukla, about the challenge: how to get their investor-owned utility to shrink its heavy reliance on coal in favor of renewable energy in order to reduce the highest electric bills in the state. While the conversation with the utility didn’t start smoothly, Raj is optimistic about the chance to work with the utility to reach the city’s goals. I’m John Farrell, director of the Energy Democracy Initiative at the Institute for Local Self-Reliance. And this is Local Energy Rules, a podcast sharing powerful stories about local, renewable energy. So, Raj, welcome to the program. Raj Shukla: Thanks so much, John. Thank you for having me. John Farrell: So, I wanted to start of by just asking what is it that has made Madison and its residents interested in making this commitment to 100% renewable energy? Raj Shukla: I think there’s a sort of natural inclination towards doing whatever we can to do right by our environmental aspirations. And energy issues are no different than a whole range of environmental topics that folks in Madison are really engaged on. What started us down this path, though, and we’d already had fairly aggressive sustainability goals. I think we had an 80% by 2050 kind of standard goal that was in our books already. But what happened here is that Madison Gas and Electric, which is our local and the largest utility in the area, the one that serves most of Madison, they decided that they were going to try and change their rate structure in 2014. And this was just as I came on as chair of our Sustainable Madison Committee. And the way that they were going to try and change the rate structure is that they were going to increase the fixed portion of their bill and they were going to reduce the variable portion of the bill. Raj Shukla: Well, yeah. I mean they’re advisory in nature. So it’s not as if policy is created in these committees for the most part. But we saw an opportunity to have a real impact on the policy-making process in a significant way because of this kind of precipitating event. The utility trying to change its rates in a really important way and in a way that was really detrimental to our sustainability goals. So we started encouraging a conversation within the city. And a few things started happening. People started showing up to our Sustainable Madison Committee hearings asking us and asking city leaders, elected officials, to take a stronger position and act more aggressively on climate change issues. So that started happening. And then they were communicating a couple of things really clearly, too. The people of the city who were showing up at our committee hearings felt that they were being left out of the discussion on a really important public health and environmental question. Something with global significance that folks really felt like, “Well, our voices should be a part of how our utility approaches energy issues.” So they felt left out. And we did it. We accomplished that. So we set out a clear path that we called an Energy Workplan and we passed that. We wrote the legislation and we passed it in the council with the support of some far-sighted leaders on the Common Council. 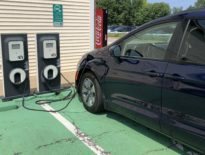 We then established a formal partnership between the City of Madison and Madison Gas and Electric to start discussing things like, “Well, how can we work together to electrify our transit system with renewable sources? How can we work together to expand solar within the city limits?” We started having a genuine discussion with a utility that we had, for years, had kind of a contentious relationship with. We decided our approach was going to be, “Well, we’re going to stretch out a hand. We’re going to extend a hand and ask the utility to join us.” And, to the utility’s credit, they said yes. They reached back and now we are working together to advance common interests. A third thing that was within that work plan was, “We need to re-examine our climate and renewables objectives.” Because we feel like they aren’t as aggressive as they need to be given what reality is telling us about the importance of climate change and the impacts that we are staring at. So we did that. We held more public hearings, I think half a dozen over the course of six months. And settled on, after much community involvement … And let me just take you to that picture, okay? Again, these are hearings that are held in the afternoon of a workday mostly. And we invited anybody and everybody to come and weigh in on what our goals should be. And what we saw were dozens and dozens and dozens of people who weren’t showing up to our normal meetings. These are new faces: young faces, old faces, brown faces, white faces. Very different than the crowd that we were used to seeing in the Sustainable Madison Committee and very different from the crowd that the Common Council was expecting to see. Or that MGE was expecting to see. People were coming out and demanding that we take a more aggressive stance. So we crafted language and, again, we wrote a resolution. Our committee and with some far-sighted leadership on the council got it passed. And that legislation said a couple things. We are going to commit, as a community, to going 100% renewable, net-zero Carbon. That’s one. Two, we are going to start with the City of Madison’s operations leading the way. So what that legislation also did was put some money into basically developing a plan of action. How are we going to get to 100% in the city, on city operations? And then how are we going to pay for it? You know, like that kind of stuff. And then established regular reporting back to the Common Council on our objectives. You know, how are we doing in terms of reaching our objectives? So this added a couple of resources to actually get what we wanted to accomplish to become a plan. It added a measure of accountability so that legislators who are, you know, folks are on four-year election cycles here in Madison. They need to be accountable on a regular basis to our climate objectives because otherwise it wasn’t going to happen. Raj Shukla: And then the third thing is, basically, that plan that we are creating right now is going to set up a way for us to talk about climate at every budget cycle. Every year, we are going to be able to come back to the council and say like, “Well, this is in our climate plan, where is it in the budget?” How are we allocating resources so that we are meeting the objectives that we have? And so that it’s integrated into the entire working of the city government. We are really proud of that accomplishment. And we are especially proud of the fact that it brought so many people into the conversation. So many people from across the city and from a variety of different backgrounds voiced their concern and we, in near unanimity, said, “We want to move a lot faster and we demand that the city do it.” And, to the city’s credit, they went along. John Farrell: It sounds like you explained a lot already of my next question, which was about, it sounded like there was a mix both of kind of some internal motivation, existing climate goals, but then some folks showing up some outside pressure in terms of folks that were attending the committee. So, you know, I’d like to move to the next question I had which was about the utility. So Madison Gas and Electric, it’s an investor-owned utility. It’s very coal-heavy, more than half their electricity comes from coal and less than 15% from renewable energy. You know, you mentioned this partnership. How has the utility come to the table? What kinds of things are they offering? In what ways are they going to be able to work with the city to help meet the city operation goal, number one? But then, number two, getting beyond that to how the whole city will get to net zero? The biggest ways, I think, that MGE can help are a couple things. One, advance kind of policies within MGE, I guess, that are going to help us reach our goals. So one example: MGE started a new kind of tariff, a new way of pricing energy, and it’s called a Renewable Energy Rider. And this is designed so they can have a special sort of pricing scheme to basically have MGE build out a solar array or something like that for a commercial customer here in Madison. It gets applied to their bill in a certain way. And this was like a product that did not exist until this Renewable Energy Rider. And so they actually are trying to market sustainability and renewable energy within their portfolio of services. So there’s that. MGE can play a major role in helping us electrify our fleet. Fleet meaning buses, it also means the service vehicles that we use in the City of Madison so within government. This is a really important thing because it accounts for a huge chunk of the City of Madison’s carbon emissions. And I’m just talking about the city operations. Raj Shukla: When you look at the city as a whole, the community, the majority of our carbon emissions are coming from vehicles. And, you know, that’s something that’s not going to be a surprise to your listeners. But their help is absolutely necessary, if we’re going to build out the kind of infrastructure that we need, in order to charge renewably-powered vehicles — that kind of thing. The other thing that this partnership has helped us do is demonstrate the community’s appetite for this. And why that’s important is that MGE’s customers are what we’re talking about. This is a utility that relies almost entirely on the City of Madison for its revenue stream. We are its customers. So if we are a pipeline of information to the utility — that your customers really want you to go a lot greener a lot faster. Our hunch was like, “Well, that’s going to encourage them to act faster.” And they have. They bought a major wind production facility in Iowa shortly after this partnership began. They are developing new solar assets at utility scale, as we speak. And this was spurred on absolutely by the market, but by the just general cost structure of solar and wind right now. Costs are going down, and it makes more sense, dollars and cents-wise, to the utility to pursue different sources of energy production. And it makes sense from a marketing perspective for them. They want to demonstrate that they’re a utility that cares about its customers, and they’re doing it right now. Now it’s like they operate at a pace that I think is different than I would certainly want them to operate at. They also operate within a regulatory environment that is challenging. And I have been heartened by their demonstrated commitment to moving in the direction we need them to go. Because you’re right, they are a coal-heavy utility. And their entire business was kind of structured around that source because the cost looked like that was going to be the way it was going to be most economical. But that’s all changing now. And we are eager to help encourage their move. And, so far, they’ve demonstrated that they are willing to. Marie Donahue: You’re listening to an interview with Raj Shukla from Madison, Wisconsin as part of our Voices of 100% series from Local Energy Rules. Stay-tuned for the rest of this episode after a short message from our Energy Democracy Initiative director, John Farrell. John Farrell: I just have time for a couple more questions. One of which is, you know, I was curious if there have been discussions, either on the Sustainable Madison community or in other places in the community, about how this transition to renewables and lower carbon energy how the benefits of that can be shared broadly. Like, for example, focusing on low-income residents who probably pay fairly high energy bills but maybe don’t have the wherewithal to put a solar array on their roof? And then the second part of that, if you wouldn’t mind just pivoting from there, kind of what advice would you offer to other cities who have investor-owned utilities like MGE about wanting to try to get to 100% goal, if they set one. Raj Shukla: Right, right, right. I would say that that has not been the focus of our work to date. Though, if you look at the agreement that we signed with MGE, it’s among our highest priorities that we want to get at. How do we make sure that folks who are least able to afford air conditioning during a heatwave, let’s say, are still able to benefit from the work that we’re trying to do. And that is absolutely a work in progress. And, if you look at what’s happening in Boulder, you can see the pitfalls of that strategy. And you can see how difficult that really is. And, given the way that the market is changing around solar and around wind, to encourage these investor-owned utilities to make a bigger profit-margin for their investors and go to a lower-cost generating source. You know, that has been something that has worked for us. But my advice would simply be: Think big and extend a hand so that everybody can come along with you. John Farrell: Raj, I just want to say thank you so much for taking the time to talk with me. I wish I had more time today and I don’t. John Farrell: But it is great to share the story of what Madison has been doing and great to hear that you’re making progress on your goal. We’ll definitely circle back to you to hear more about how that process is going in the future. Raj Shukla: Yeah, absolutely. And you know, I don’t know if it makes sense or you want to talk about it or whatever but I just announced a run for Mayor, too. So this is not the end of the story for Madison, absolutely, and should I get elected we’re going to act faster. John Farrell: Well, that sounds incredible and best of luck to you in your election campaign. Raj Shukla: Thank you, I appreciate it. John Farrell: Raj, thanks again for taking the time today, I really appreciate it. Raj Shukla: My pleasure, John. Have a good one. John Farrell: Yeah, you too. Take care. John Farrell: This is John Farrell, director of ILSR’s Energy Democracy Initiative. I was speaking with Raj Shukla, chair of the Sustainable Madison Committee in Madison, Wisconsin, about his community’s commitment to 100% renewable energy. For more information on which cities have made the 100% pledge check out ILSR’s interactive Community Power Map, which is available at ILSR.org. While you’re at our website you can also find more than 50 past episodes of the Local Energy Rules podcast. Until next time, keep your energy local and thanks for listening. Madison first made its community-wide goal of 100 percent renewable energy and net-zero carbon emissions in March 2017. Due to an increasing sense of urgency to address climate change and a recent utility decision to increase the fixed charge (Madison’s electric rates are the highest in the state of Wisconsin, Shukla notes), residents want the city to pick up the pace. More people have shown up to hearings organized by the city’s Sustainable Madison Committee, Shukla explains, and made their voices heard by contacting city leaders. For more on community efforts in Madison to put pressure on the city’s incumbent electric utility MGE, check out this earlier “RePower Madison Challenges Old Electric Monopoly Model” story. Shukla points out how many community members felt “that they were being left out of the discussion” and that Madison wasn’t “doing enough.” These newly engaged citizens are more diverse than those who are typically engaged in the nitty gritty details of committee work and policy development, Shukla notes. 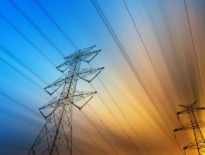 The pressure on both local government and the electric utility has illustrated broad support for local action to address climate and energy challenges. With renewed community support, the Sustainable Madison Committee sees an “opportunity to have a real impact on the policy-making process in a significant way” in terms of how the city sets aggressive goals, how city leaders are held accountable through the budget process, and ultimately how Madison achieves its climate and energy goals, Shukla explains. While Shukla acknowledges that Madison could follow the path of other cities like Boulder, Colo., to municipalize its electric utility, the political and regulatory climate in Wisconsin made such a strategy too challenging. Instead, Madison leaders drafted an implementation plan for city operations. The plan offers three potential dates to reach net zero carbon emissions for municipal operations––2020, 2023, and 2030––with later dates offering more financial and economic benefit because they include more local investment in energy solutions. The city has less clarity about reaching its community-wide 100% renewable energy target. City leaders have also redoubled their collaboration with the utility to transform the city’s energy system. There is real potential, Shukla believes, for the city and utility work together toward common interests. For more information on efforts in Boulder, Colo., to municipalize the city’s electric utility, check out our Boulder Hot Spot. And stay-tuned for a future Voices of 100% episode on the progress Boulder is making toward its own ambitious 100% renewable energy commitment. Specific strategies that the city is considering, Shukla explains, include implementing Property Assessed Clean Energy (PACE) financing, which would allow residents or businesses to finance clean energy improvements through local tax assessments or utility bills, and increasing the amount of renewable energy that powers municipal operations. As earlier research from ILSR highlighted, cities can lead by example and move relatively quickly to make investments in solar on publicly owned facilities, with a number of local benefits. In addition, Shukla notes the importance of ultimately electrifying Madison’s transportation sector and building the local infrastructure needed to support that transformation, starting with the city’s own fleet of buses and maintenance vehicles. Explore additional resources from ILSR to learn more about PACE financing tools (Municipal Financing for Renewables and Efficiency), how cities can take the lead installing solar on municipal buildings (Report: Public Revolution), and the benefits of local electric vehicle infrastructure (Report: Choosing the Electric Avenue). In discussing how cities can transition to renewable energy equitably, Shukla acknowledges that more work is needed in Madison to ensure that those most impacted by such decisions benefit. He points out that MGE has articulated a clear commitment to making sure all customers benefit from changes in technology. Residents and the city can hold the company accountable to this commitment, as the utility shifts its investments to renewable technology. Shukla concludes with advice for other cities pursuing ambitious renewable energy commitments. While acknowledging that context matters, Shukla believes that setting ambitious targets and developing a working relationship with the local, incumbent utility are important first steps for success. “My advice would simply be: Think big and extend a hand so that everybody can come along with you,” explains Shukla, on advice to other cities pursuing a 100% renewable energy commitment. Want to hear more stories of local, clean energy and 100 percent renewable energy commitments? Stay-tuned for the next episode in our Voices of 100% series, which will feature the city of Boulder, Colo., and dig into the latest in their pursuit of 100 percent local, renewable energy. For concrete examples of how communities can meet their ambitious renewable energy goals locally, such as municipal investments in solar, policies that help communities build electric vehicle infrastructure, and strategies to put pressure on incumbent utilities to shift to local, clean energy, explore ILSR’s Community Power Toolkit. Locate places that have made 100 percent renewable energy commitments and explore local and state strategies to advance clean energy goals, using ILSR’s interactive Community Power Map.